Last weekend (10th-12th May), UNISON Kinneil Band travelled down South to compete in the annual Senior Trophy competition held at the Winter Gardens in Blackpool. The test piece for the competition was Eric Balls “Journey into Freedom”. 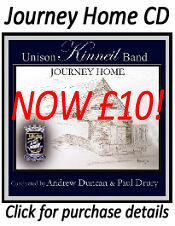 Kinneil, under the direction of Musical Director Craig Anderson, were drawn 14th in the proceedings from a field of twenty top class bands from all over the country. Shortly before we were due to take to the stage Solo Horn player Chris Ball unfortunately took ill and was rushed to Blackpool’s Victoria Hospital. After some tests Chris is now feeling much better and returned home to Scotland a few days later and we hope to see him back at rehearsals soon. The band played extremely well on the contest platform with some younger members making their contesting debut. 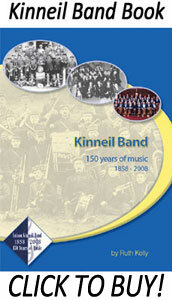 Once the results were collated it was revealed that Kinneil achieved 12th place. Although the band felt slightly disappointed not to have gained a better result, the 12th place means that the band has secured a place in the Senior Trophy competition for next year. This entry was posted on Sunday, May 19th, 2013 and is filed under General News, Results. You can follow any responses to this entry through RSS 2.0. Both comments and pings are currently closed.